Wow! Lauren has wizzed into my kitchen today and created some beautiful meals for me – it was so easy – received a shopping list by email, and left it all in the fridge, came home to beautifully stacked meals in containers ready for the freezer, kitchen spotless! 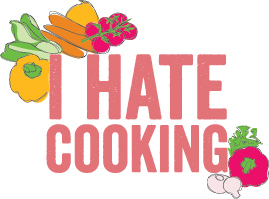 I’m sooo impressed – I like cooking but working 12 hrs a day 7 days a week there’s no time to cook and I LOVE to eat healthy. Thank you Lauren, this is a God send to me 🙂 ps. I had a sneak taste and the food is delicious! “I love to eat good food but I am not a skilled cook. I don’t even have an interest in cooking. It is just not a passion of mine. Bek is a passionate cook and loves to cook for others. My father in law was going through a difficult time and meals were a real struggle for him. I was cooking food for him and his wife but if I’m really honest, it was bad food. Not unhealthy, just bad tasting as I am a terrible, terrible cook. Bek offered to come over and do a big cook up so I could take over a bulk supply of healthy, tasty meals for him. She gave me a range of meals to choose from and I just had to select the ones I liked and a grocery list was emailed to me. Bek came over and in a few short hours, had cooked up 27 (I can’t remember the number but it was something like this) portions! The process from start to finish was easy, cost effective and pretty fun. Bek was incredibly helpful to us at a time when we really needed a little help on the cooking front.